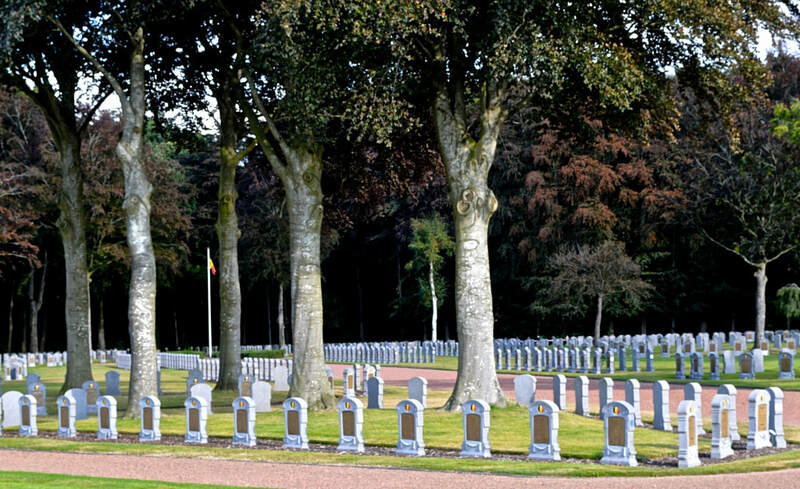 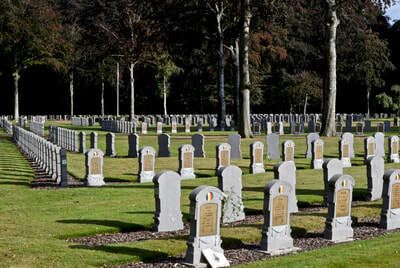 The most well-known Belgian military cemetery is located in the heart of Houthulst forest and contains the graves of 1 723 Belgian soldiers, most of whom were killed during the so-called Liberation Offensive of 1918. 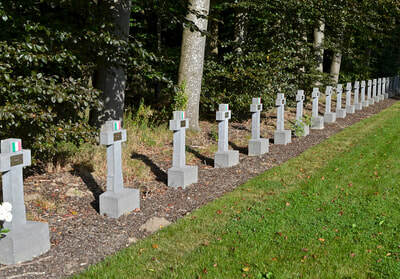 81 Italian soldiers are also buried here. 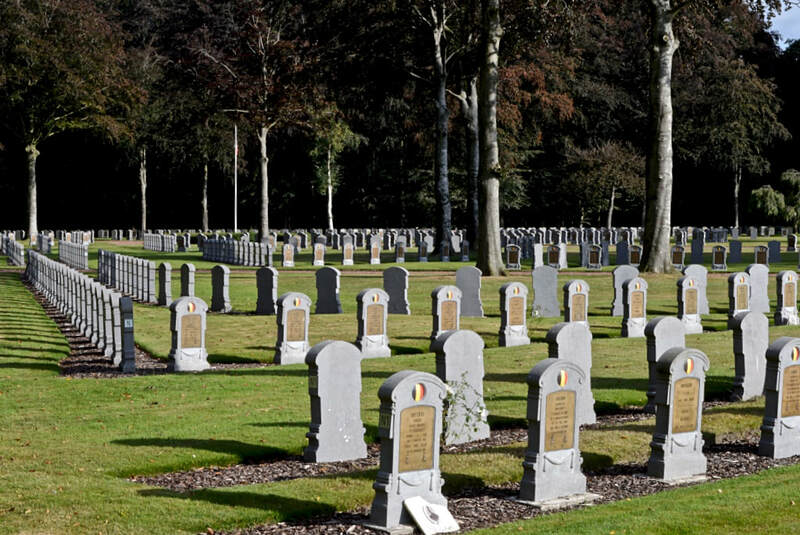 Italian prisoners of war were used by the Germans to work behind the front, especially in the region Roeselare-Izegem. 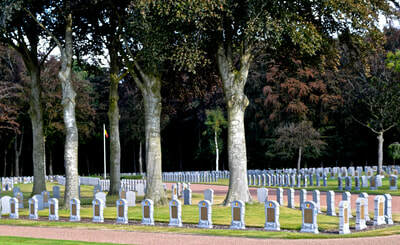 Most of those who died fell victim to illness or disease. 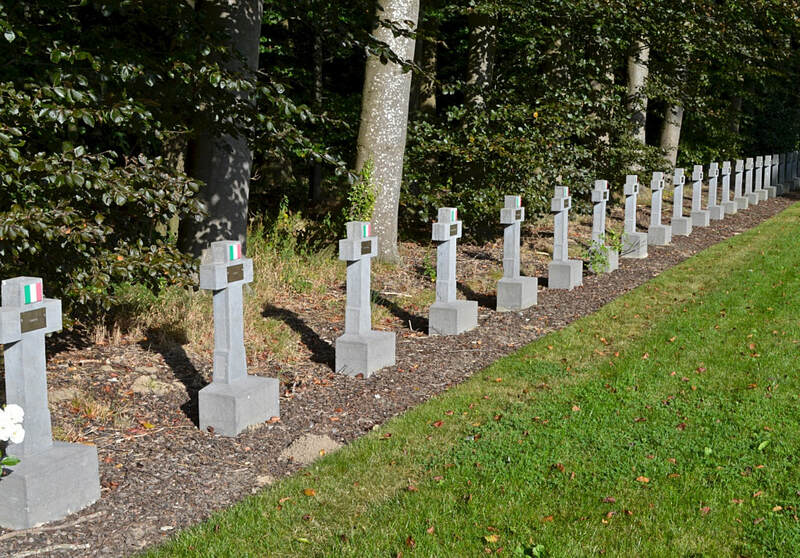 Their remains were later transferred to Houthulst, where they now lay along the forest's edge in this star-shaped cemetery.